Create a classic look away from the pitch with these stylish Oakley Holbrook Polarized Dark Ink fade Sunglasses Chrome Iridium. 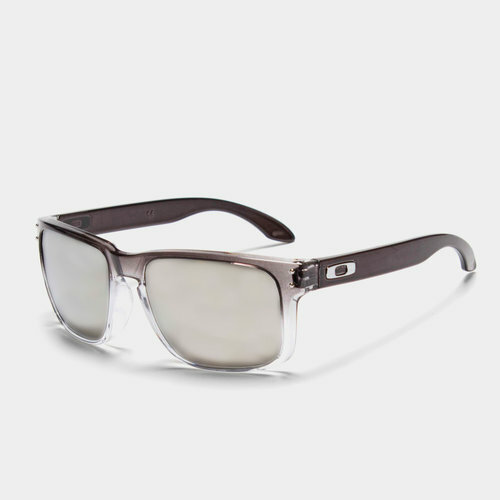 These Oakley sunglasses are a timeless classic fused with the modern Oakley technology. The iconic American frame design is accented by metal rivets and Oakley icons, perfect for those who seek equal parts performance and style. Plutonite® Lenses offer top UV Protection filtering 100% of all UVA, UVB, UVC and harmful blue light up to 400nm. The patented High Definition Optics® (HDO®) provides superior optical clarity and razor-sharp vision at every angle and the O-Matter™ stress-resistant frame material is both lightweight and durable for all-day comfort and protection. Weather you're in the stands or on the beach, make sure you've got these Oakley Holbrook Polarized Dark Ink fade Sunglasses.